The easiest way to bring a touch of spring inside is to add some flowers – and not just the type that sit in a vase on your table. 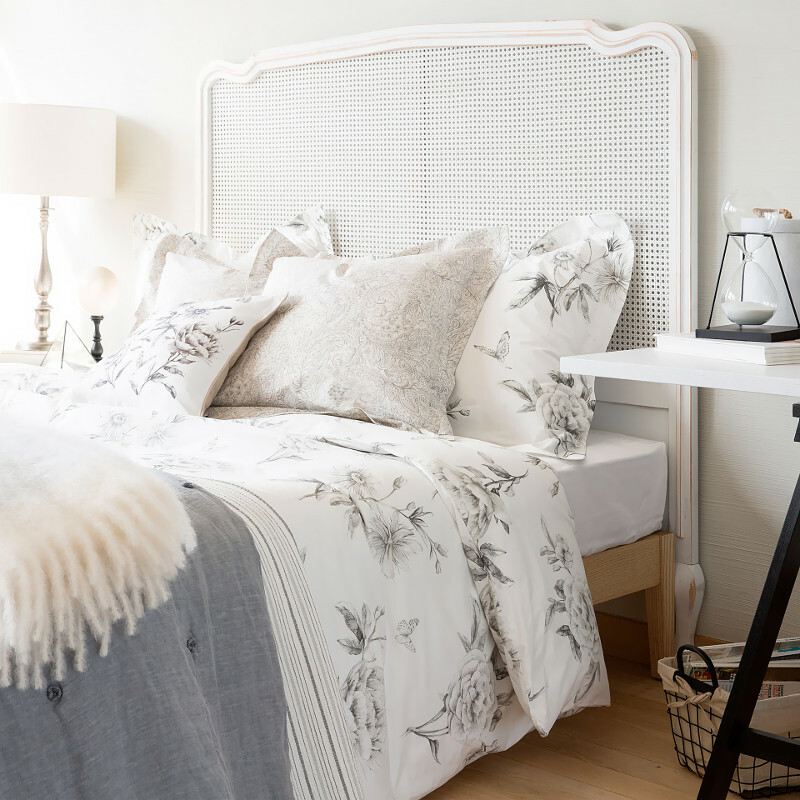 Whatever your home style, there are florals out there to suit you; Zara Home has got the whole trend nailed with everything from clashing tropical prints to subtle monochromes, while the gentle vintage style at Soak and Sleep is ideal for anyone who likes their prints a little more on the calm side. I used to love a good retro floral (the louder the better! 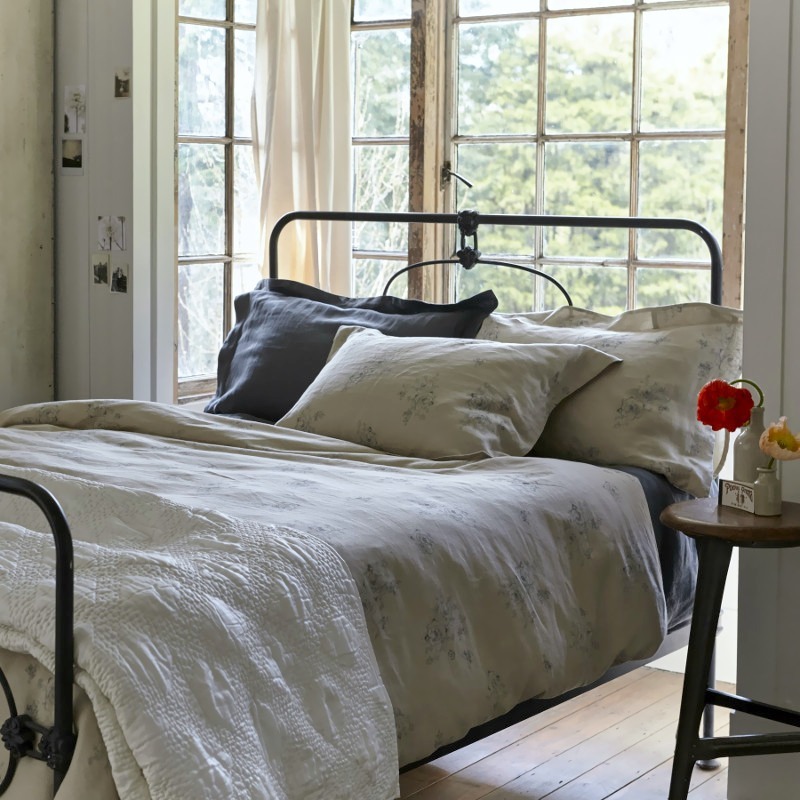 ), but over the last year or so I’ve started to prefer plain cotton bedlinen – if you’re like me and don’t fancy a bedroom that looks like the Chelsea Flower Show, add a couple of pillow cases, cushions or a throw for the end of the bed. 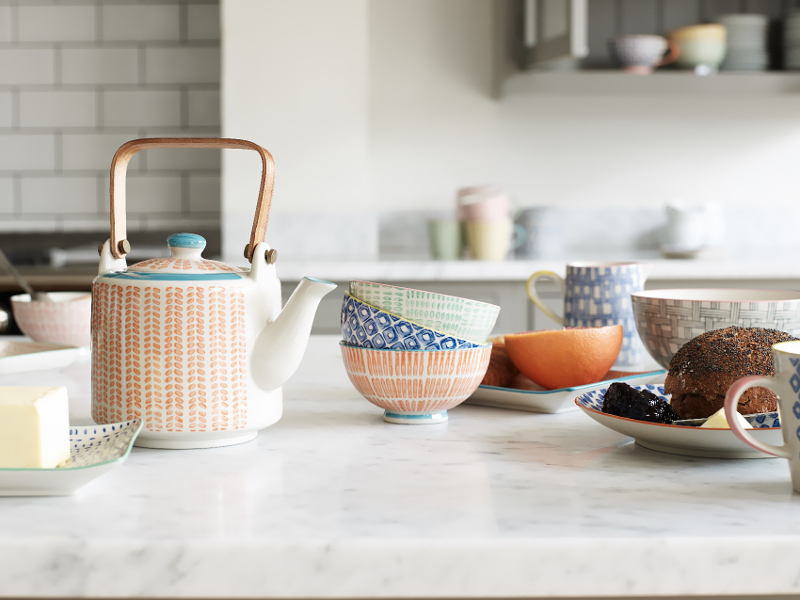 A new season is such a good time to add some lovely new things to your home – besides, all that spring cleaning is going to mean that you’ve got a few gaps to fill! 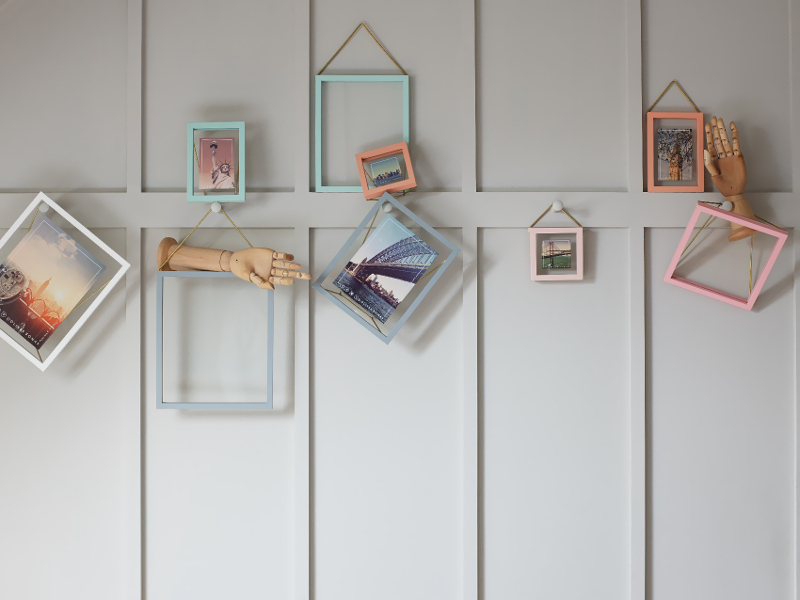 Oliver Bonas have got some amazingly beautiful things in stock at the moment; the Fika dinnerware range is bright and cheerful without being too overpowering, and the pastel frames are great for housing family photos, postcards from trips away and even wildflowers foraged on a sunny walk. Fellow gardeners and plant fans (I know a lot of you are!) 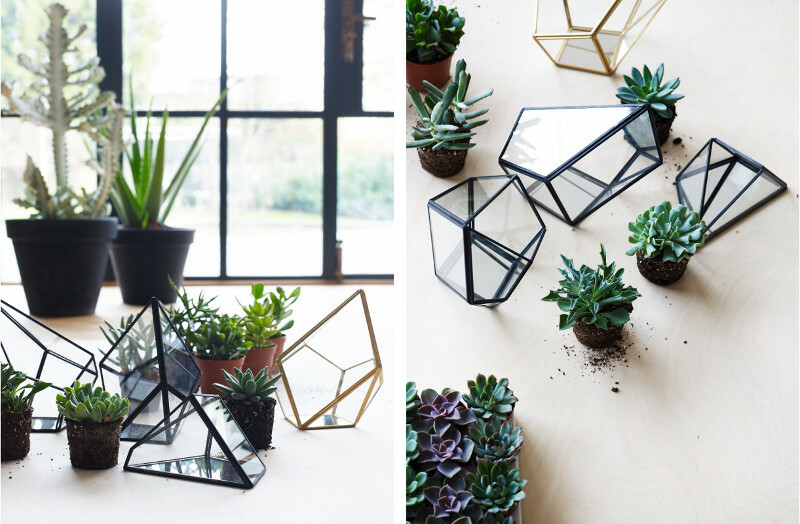 will love the terrariums as well – beautifully geometric and available in both black and gold. Obviously it’s good to get the glass cleaner out and give your windows a bit of sparkle, but I was thinking more along the lines of investing in some new curtains or blinds. 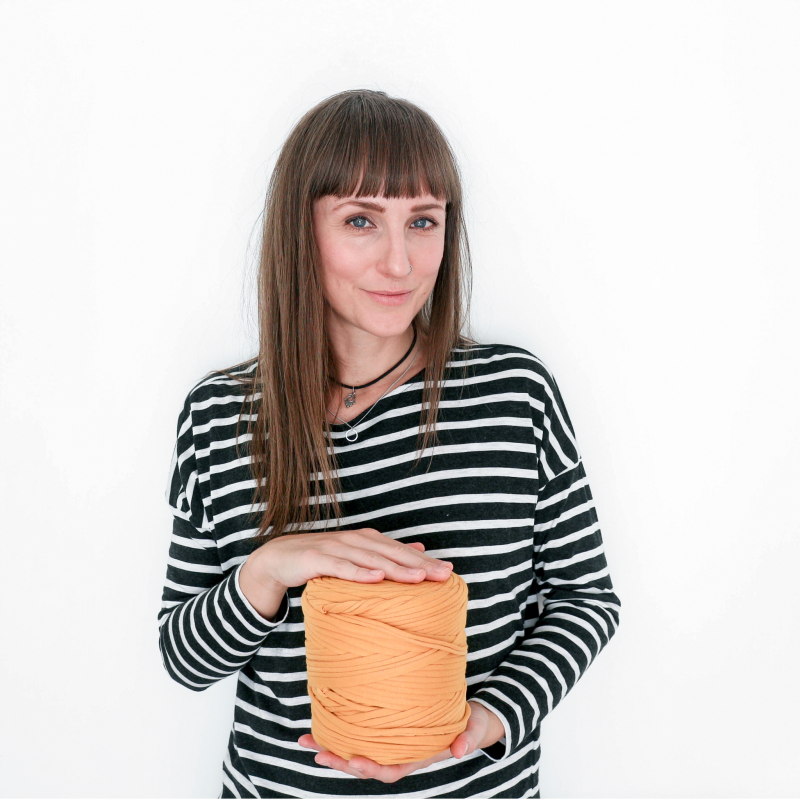 Urban Outfitters and IKEA both have great selections of lightweight curtains, ideal for billowing gently in the summer breeze while keeping the insects out. 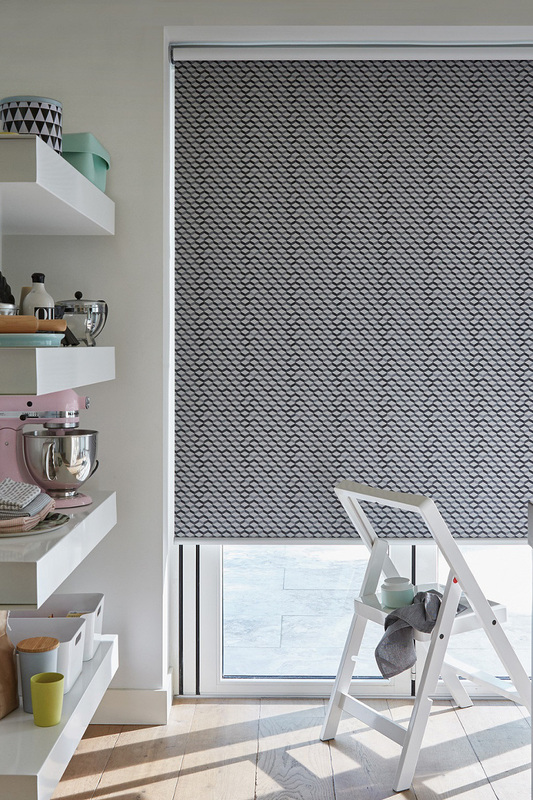 If you want something a little more tailor-made, Luxaflex provide custom blinds and shutters for windows in a huge range of styles, materials and colours – if we didn’t rent, I’d be all over their interior wooden shutters! One of the things I love most about spring is just how much nature offers you for absolutely nothing; a short walk can leave you with baskets full of flowers, foliage and branches laden with blossom (I’m obviously talking about what you find on public land – definitely not suggesting that you should be leaping over peoples walls to rob their flowerbeds!). 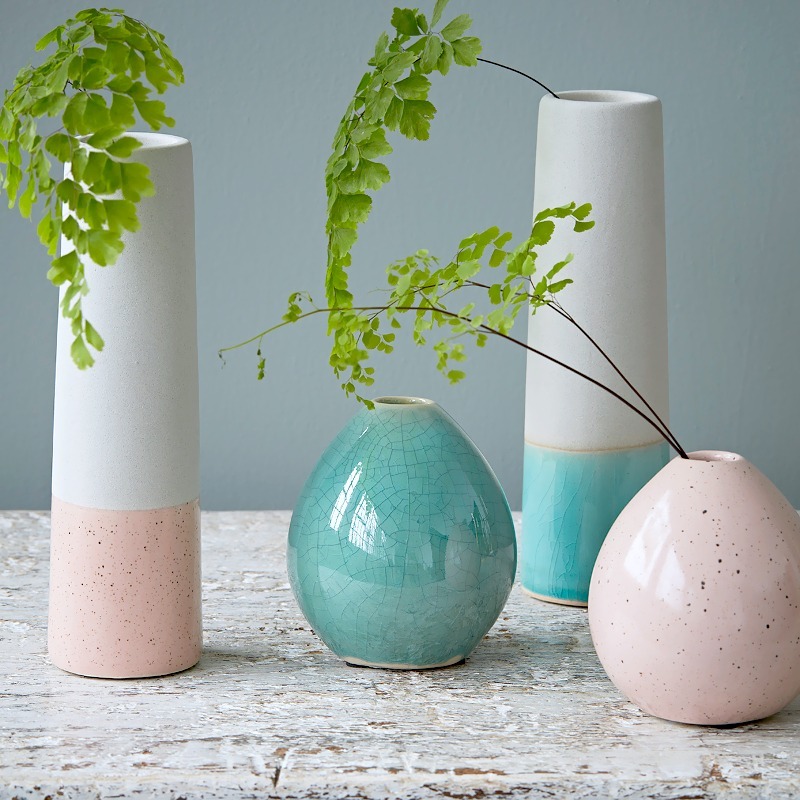 There are some really great ceramics around at the moment to pop your sweetpeas in, but my favourite has to be the range at Rigby and Mac; the pastel dipped vases by House Doctor are colourful without being sickly, and would look great next to vintage glass bottles and smokey grey pots. 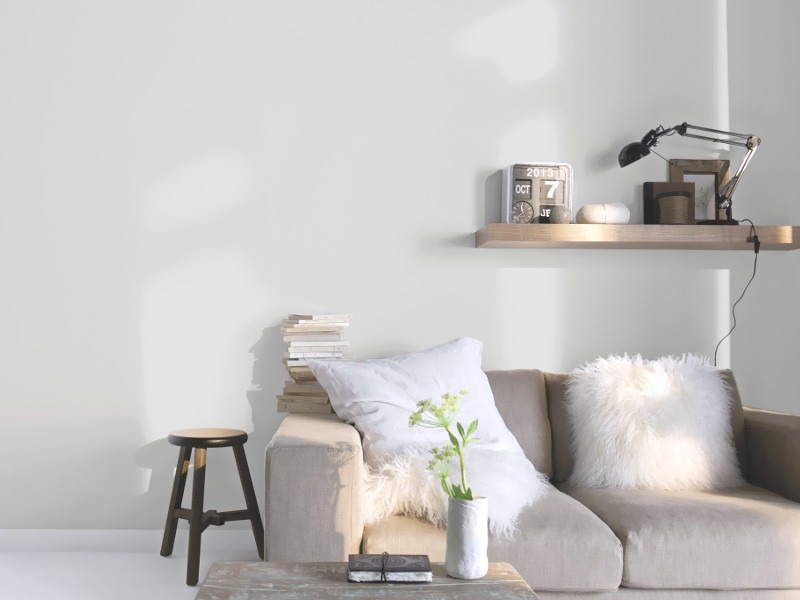 You don’t need to be making over a whole room to get out the paint cans – our walls are always white, but every few years we redo them to keep everything looking fresh, and to cover up any marks (read: crayon and handprints) that might have been left. If you really can’t face repainting a room, try making over an old piece of furniture using specialist paint to do the job; I really like the Colours range (pictured above) from B&Q for anything wooden, and Plastikote spray paint for plastic and metal. Many thanks to Luxaflex for collaborating on this post.